POSITIVELY PARKINSON'S: Misery Loves Company? The small group that gathered at Evergreen Hall sat on metal stacking chairs behind plywood-topped tables placed to form a hollow square. The uncomfortable chairs with curved plywood seats and backs were not ideal for an audience I needed to engage for an hour while I spoke about "Staying Positive with Parkinson's". It was a diverse gathering of seniors, most of whom seemed to be dealing well with their PD symptoms. In fact, they seemed more concerned about my symptoms as I repeatedly attempted to refer to my speaking notes while they fluttered about as if trying to escape my shaking grip. I was offered, and gladly accepted, an upside down cardboard box to serve as my lectern. "Why are they here?" I mused to myself. Was it just an opportunity to escape the daily routines dictated by the disease we shared? Was it to share a cookie and some coffee with a few friends and acquaintances who would not look questioningly at their shaking hands, stiff and shuffling steps or expressionless faces? Was it somehow an attempt to share, if only silently, the anger and anguish of a disease that demanded more from each of them every day? Were they here to hear a story of a fellow sufferer? Is it true that "misery loves company"? 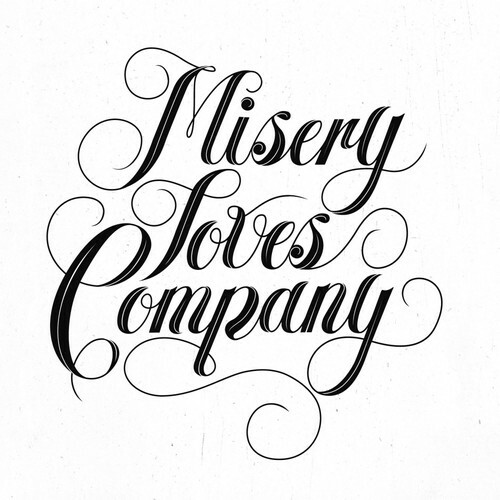 A curious phrase, "misery loves company". 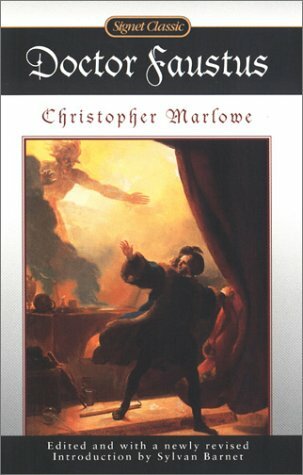 It originated from Dr. Faustus, a play from the 16th century about a man who was prepared to give up all hope by signing a pact with the devil in exchange for 24 years of living with his desires being fulfilled. The quote is from the lips of Mephistophilis, the devil's agent, in answer to the question about why Satan seeks to enlarge his kingdom. The phrase appears to mean that those who are unhappy seek to make others unhappy too. Is that true? It does seem that the older we get the more we seek to share our maladies, aches and pains; the pills we are taking, the operations undergone, the alternative medicine remedies we have tried. Are we commiserating? Are we truly seeking to drag others into a miserable hell like the clever demon attempted with Dr. Faustus? The introduction to my presentation seemed to fit the Faustian quote. 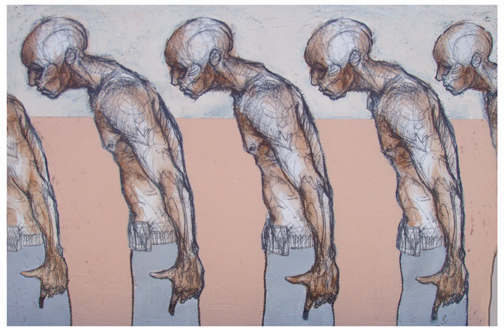 I asked, "How many of you have Parkinson's? How many of you are getting worse? How many of you have been discouraged by the disease? How many of you have been embarrassed by the symptoms?" Nearly all hands shot up after each question. No one was smiling. It was if I had reminded them of the misery they shared. There was the challenge! “Misery” is the state of suffering, unhappiness or emotional distress. Is that what we seek to share? Granted, there are times when self-pity, hopelessness and anguish shroud us like a dark fog. But, if we look intently, there is always encouragement, hope and purpose. While our PD may be getting worse, we can become wiser, more compassionate and patient. While depression may come knocking, we can choose to focus on the positive, the humorous, the uplifting. Despite the death of some dreams, trodden underfoot by this debilitating disease, we can discover new and heart-warming visions, a future packed with promise, and opportunities to make much-needed contributions that had been unrecognized before. 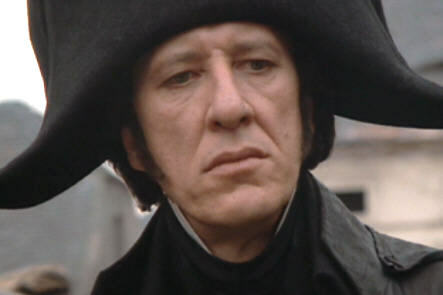 We do not need to become like Inspector Jauvert in Les Miserables. We can refuse to be mired in misery. We can each venture with courage into the uncharted territory ahead of us, "looking for adventure and whatever comes our way". Those dozen or so folks who gathered together were proving that Parkinson's disease has not defeated them. Their very presence encouraged me. My suspicion, as I looked in the eyes of those I barely knew, was that, in truth, misery does love company, but it is in hope that the company it keeps will dissolve the suffering state like sunshine disperses the rain. I keep reading this over and over again and it truly has inspired me in ways I can't tell. The beauty of the written word. So powerful and awe-inspiring! This was beautifully stated. Especially "misery does love company, but it is in hope that the company it keeps will dissolve the suffering state like sunshine disperses the rain." I am encouraged by the fact that you have found this helpful. Isn't life curious? Those of us who may be said to "suffer" are somehow able to touch the depths that others cannot fathom. I sincerely hope and pray that encouragement continues to be a part of your daily diet. The phrase "Misery loves company" did not originate from Christopher Marlow's "Dr. Faustus." It actually came from The 14th-century Italian historian Dominici de Gravina who wrote, in his Chronicon de rebus in Apulia gestis, "Solamen miseris socios habuisse doloris," which translates to; "It is a comfort to the unfortunate to have had companions in woe." The Latin hexameter phrase would later emerge from the mouth of Mephistopheles in Scene 5 of Christopher Marlowe's Dr. Faustus. Erroneously, English naturalist and botanist John Ray (1627–1705) is credited with the quotation, "Misery loves company," as well as another well-worn phrase, "Blood is thicker than water." An Hour in the Shower!